In the bustling downtown neighborhood of River North, you'll find the aptly named Eataly. The always packed Italian market, deli, coffee shop, and multiple restaurant location has become a destination for locals and tourists alike. Despite the unending hoards of people lining up to buy $50 olive oil, Eataly also happens to house one of the city's most overlooked breweries. Tucked away in the corner of Eataly's second floor, Birreria might just be the best place to grab a craft beer downtown that no one knows about. Since opening last year, you're unlikely to hear many local beer fanatics mention Birreria as a go-to spot for their next brew. But with the likes of Sam Calagione (Dogfish Head), Teo Musso (Birra Baladin), and Leonardo Di Vincenzo (Birra del Borgo) as founding "brothers," there's a lot to love here. The man behind the brews at Chicago's Birreria is Head Brewer Tyler Prokop. Transplanted from New York, Tyler has been charged with getting the brewery and taproom up and running–while brewing some damn fine beers that appeal to first time craft tourists and beer geeks alike. We sat down with Tyler to get his perspective on that challenges of opening a new brewery in an uber-competitive market, how Chicago compares to The Big Apple, and his go-to spots around town. Tyler, what's your background – how did you get into brewing in the first place? Eataly (NYC) opened in August 2010, and I had just moved to New York. I graduated school in Boston and moved to New York because I was dating a girl there. I opened the store there, kind of as a team worker, doing a little of everything. I saw Eataly was opening a brewpub and had been watching Brewmaster for a little while. Birreria finally opened in May 2011, and I started working as a server. I was bugging the brewer, Brooks (Carretta), who is now at Del Borgo. I kept telling him about my homebrew, then started assisting. I did that for a while – assisting in the brewery a couple days a week, waiting tables a couple days a week. It was funny, waiting on people, serving them beer that you made, and they tell you they don't like it. But it was a good way to learn to sell beer; knowing everything that went into it. When they announced the Chicago store, I imagine that was a big opportunity for you. Thankfully the first person they asked to come out here declined, so they asked me if I was interested. I had never been to Chicago before, but was like, "Yeah, let's do this!" It was an honor to be able to do it and I was super excited, but knew there was a lot of pressure to do it right. Luckily, I had a lot of great mentors. What's your relationship like with the "Brothers," the founders at Birreria? With Sam, Leonardo, and Teo? We don't get to talk to Teo and Leo as often, being in Italy. And Sam is primarily on the East Coast, so New York sees them more often. But we do a collaboration brew roughly every quarter. Either one of them will come here, or we get on a call to discuss what we want to get out of the beer. It must be great to have access to knowledge from guys like that, with only a few years of brewing under your belt. It is kind of funny how I really just fell into it. There are so many people out there going after brewing jobs, I was just fortunate to be in the right place at the right time. Brooks was a great teacher, and brought me in after tasting some of my homebrews. Sam brought me and a couple other guys from Eataly NYC down to Dogfish to work with that team, too. He's really awesome about watching over us, and setting us up for success. Let's talk about the beer. You've used a lot of unique ingredients, not always found in your everyday brew. Have you had any that were a flop? A lot of the beers come from the collaboration of the "brothers," using Italian ingredients that pair well with food. I would say the black garlic beer, Garlic Breadth. It was a difficult sell, but it was fun. The nice part about this system is that it's small. So there is room to take some risk. I talk to the staff a lot and I'm on the floor a lot – selling beer. It's never hard to sell a lighter beer here. I think a lot of the clientele are people just getting their feet wet. Anything you've brewed once and are itching to make again? The oyster stout (Patrizia) that we brewed last year. It took a while to sell, but the people who bought it come back and asked for it. I don't know if it was just the novelty, but I thoroughly enjoyed the beer. I would like to do our double IPA, Bitter Blues, again. Even though there are a ton of them in the market, it was a lot of fun. Sometime in the future, I really want to do a Bière de Garde, too. It's one of my favorite styles. Talk about a good food pairing beer – that oyster stout was it. How much oyster actually goes into the Oyster Stout? I know for the batch I did–4.6 barrels–we put in 45 pounds. I just go out to one of the chefs and tell them I need oysters. But that's one of the cool things about working here. There are so many ingredients and so many minds to bounce ideas off, especially our chefs. Whenever you need to come up with a flavor profile, they each have a genius pallet. It's definitely a great learning experience. 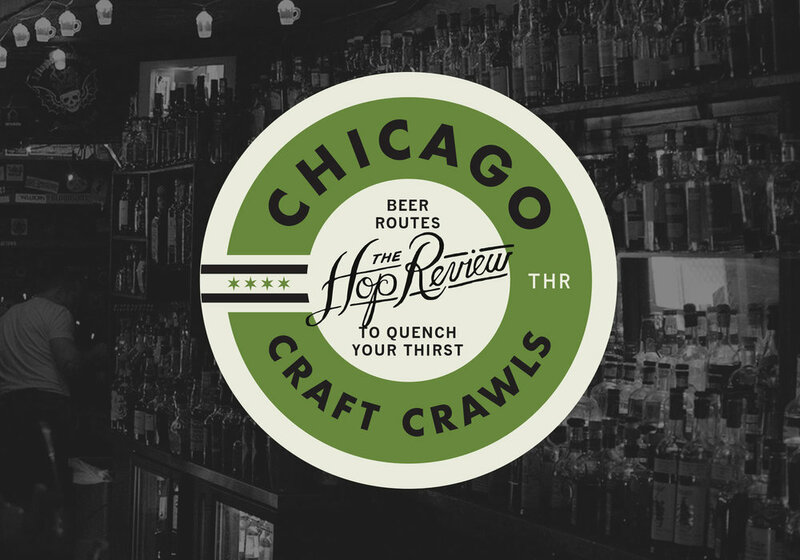 There are dozens of Chicago breweries, but only a few downtown. What's that like for you? I had no idea how many great breweries were in Chicago. Before I moved out here, they mentioned we'd be working with Half Acre, Revolution and 3 Floyds, selling their beer on top of the Birreria beer. I'd only heard of 3 Floyds, and wasn't familiar with Half Acre or Revolution. But everyone was just so warm and welcoming. The first week I was here, Amy from Rock Bottom and Barnaby from 3 Floyds came by to welcome me. Everyone was willing to lend a hand–same with everyone in the Illinois Craft Brewers Guild. You'll see emails going back and forth and everyone is just ready to help out. That's one of the things that makes Chicago and New York a little different. New York is a little more exclusive. Most people here are definitely more welcoming. Besides the brewers and general hospitality, is there a difference in the beer scene here compared to New York? With New York, especially in the city, the real estate is too expensive. You get more breweries hanging out on Long Island. The city is more of a cocktail culture–a lot of the speakeasy types and wine bars. What really surprised you once you arrived in Chicago? Definitely how many breweries there were that I'd never heard of. People were suggesting this beer or that beer. There were 25 to 30 people who came out to open the store, and all were suggesting a different brewery...which is a great problem to have. I get emails from the Brewers Guild, and you see the signatures of all these people. You wonder, where are they hiding all these breweries? Any plans to work with some of the other local brewers? Yes. We have some things planned, but I can not speak on them right now. As soon as I can, I will let you know, promise. We haven't seen much of a presence from Birreria at the local festivals. Will that change this year? I think we'll make more of an effort to do that this year. Last year we were just getting things rolling and getting acclimated to the city. It's tough to get out there to do that when you're opening a store. This year we'll probably do a little more of the festival work and getting out there. Now that you have been here for some time, any go-to spots around town? Gosh, the classics! Hopleaf is pretty rad. Revolution's brewpub, Longman & Eagle is a great bar...I know there're so many more, it's just hard to find time. The weeks have been flying by. There are roughly 60 Chicago city breweries open, or in the process of opening. Where do you think Birreria fits into the mix? Well, we have a pretty awesome selection. My mindset when we're making beers is to make something kind of "gateway-ish" to people. Something that's approachable, that warms people up to craft beer. We're also showcasing all these incredible breweries. It's kind of nice to tell people, "Ok, start here, get your feet wet. Ok, you liked that? Let's take you toward something a little crazy." We show people the spectrum of what's out there. Do you feel a sort of responsibility knowing you're downtown and a lot of your traffic is the tourist crowd? Yea, absolutely. People come in and say they didn't know this was even in here. They're looking for a beer, they're visiting on vacation, or for a conference. Many times, people are asking for suggestions of places to go. Giving people what we think are sound suggestions is important. Breweries to see, brewpubs to go to, or just places to eat. What's the near future look like for Tyler Prokop? Still in Chicago? I don't know if I'll still be in Chicago. I like bouncing around. I grew up outside Pittsburgh, went to school in Boston. I lived in LA for a little bit during school. I lived in New York, now I'm in Chicago. I don't know where I'll be...I never even thought I'd be in Chicago! My parents have asked me if I plan on opening a place. But I'd like to work in some other full-production breweries and get that kind of experience before I'd do anything like that. If you're not drinking Birreria, what's in your glass? It's usually whiskey. I have a few bottles of it at home. Usually when I bike home, I'll have a beer because I'm thirsty. Then I'll have a whiskey because I'm just going to sit back and chill. Last week I had Firestone Walker Easy Jack. I picked up a six-pack of those...but they're not in my fridge anymore. I think right now, at home, there's Ballast Point Grapefruit Sculpin and I have Four Roses Bourbon. Be sure to check out our Spring Beer feature for Eataly as well, for a broader view of their beer offerings–Birreria and otherwise. You will be hard pressed to find better Italian beer anywhere else outside of Italy.